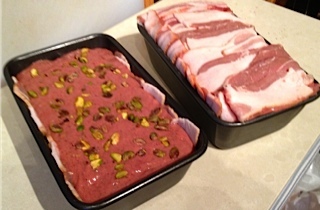 A rich combination of beef, liver, eggs, ham and bacon - Pâté is the perfect Paleo food. I need to warn you right now. 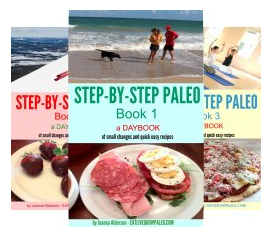 Even though this is a blog about simple, quick and easy Paleo, this recipe I will be giving you today is not simple and it definitely is not quick. It is however easy as long as you follow it step by step - and I'm going to make it easy for you to do that. If you want something spectacular to serve during the holidays, if you're prepared to put in a bit of extra effort in return for an exquisite taste experience, this recipe is for you. We have all been told that we should eat more offal, but healthy or not, most people just can't make themselves go that far. To most of us offal is just plain awful - pun intended. 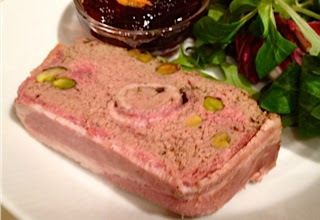 However one thing that is considered offal - liver - is an exception because it can be made into pate - and pate is definitely delicious. 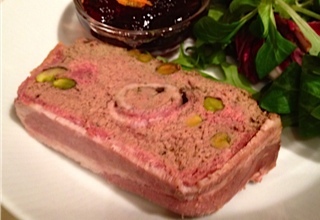 "Terrine" is actually a very fancy pate made with beef, ham and chicken livers, and as such it is not only fabulous tasting, but healthy as well. You can never be sure what is in the pate you buy from the store, but with this you know all the ingredients are top quality because you choose them yourself ... and because it makes LOTS of pate, you will be able to enjoy the fruits of your labour for many meals. Line two 12 x 3 x 3 inch loaf pan with bacon, making sure the strips hang down the outer sides. Refrigerate. Wrap the 8 chicken livers in the 8 slices of bacon and set aside. Chop the ham and set aside. Put the liver into your food processor and process until completely ground. 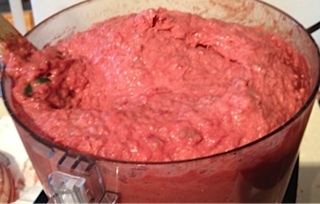 Add the beef a bit at a time and keep processing until smooth. 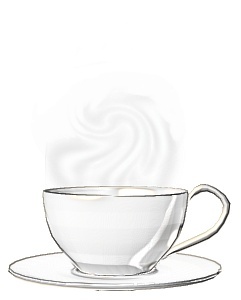 This will take a few minutes and you might need to do it in two batches, depending on the size of your processor. 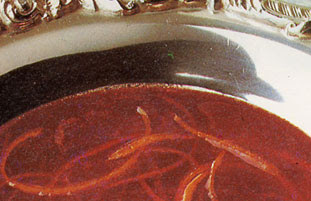 Transfer to a large mixing bowl. 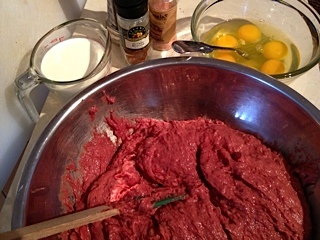 Beat the eggs, then mix them into the meat mixture until well incorporated. 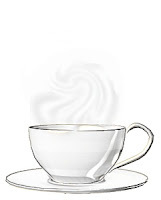 Add the cream, eggs, salt, pepper and nutmeg and continue mixing until well blended. 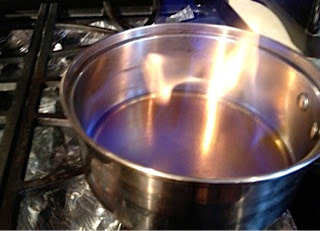 Warm the brandy in a small heavy duty pan. When it's warm, TURN OFF THE HEAT, ignite the brandy using a long handled barbecue lighter, and let the alcohol burn off. When it's finished flaming, add this to the bowl and mix in well. 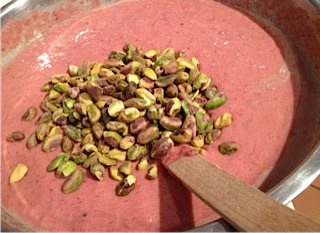 Finally, mix in the pistachios. 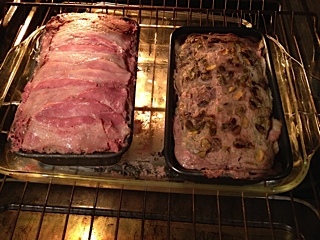 Fill each prepared loaf pan half full of the pate mixture. 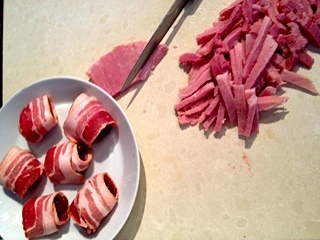 Place the wrapped livers down the middle, then fill in with the chopped ham. Spread the remaining pate mixture evenly over the top and cover with the overlapping bacon strips. 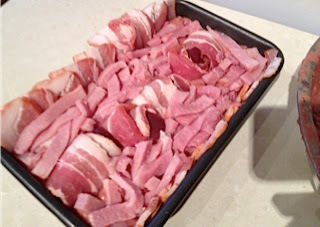 If your bacon isn't long enough to overlap, (mine wasn't) just cover the top with folded bacon instead. And if you run out of bacon as I did, don't worry. It will still taste great. 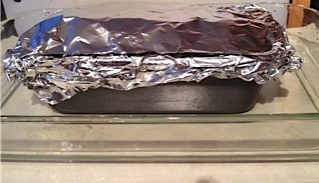 Double a piece of heavy-duty foil and cover the top of the terrine. 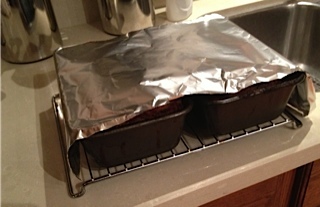 Set the loaf pan in a larger shallow pan and fill with water to a depth of 1 inch. Bake for 2 hours. 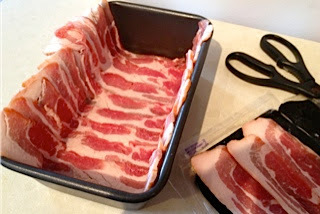 Pour the water out of the pan, then return the terrine, uncover, and continue baking until juices are no longer rosy (or until a meat thermometer inserted in the centre registers 170'F to 175'F), about 30 minutes. Remove from the oven and if there is any excess liquid on the pate, carefully pour it off. Place on a sturdy wire rack, cover lightly with a clean piece of foil, and let it cool completely. 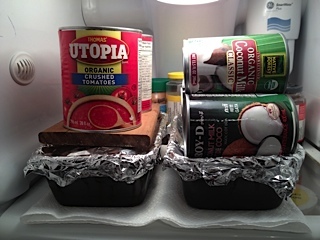 When cool, set the loaf pan in the fridge, set a small baking sheet or pan on the top, and weight the entire surface with bricks or heavy cans. Chill overnight. Remove the terrine from the pan by inverting it over a platter, slice, and serve with Cumberland sauce. You can refrigerate this for about a week. It can also be frozen, but the quality of the nuts might suffer slightly. Put the shallots, citrus peel and juice into a small saucepan. Place over low heat and simmer for 10 minutes, stirring frequently. Add the remaining ingredients and simmer another 10 minutes, stirring occasionally. 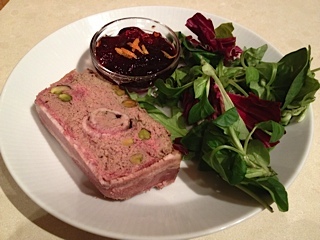 Not only does this taste heavenly, the presentation on this pate is magnificent as well. 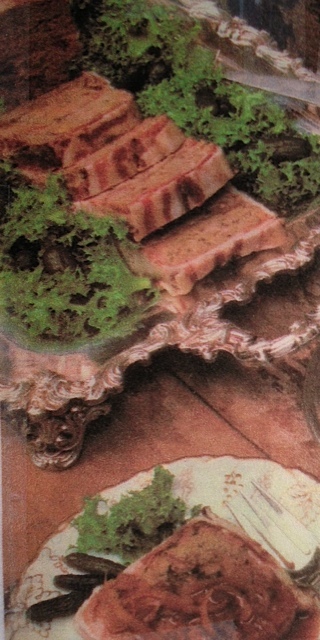 For a quick holiday lunch, a slice of pate with some cumberland sauce and a side salad will really hit the spot. Healthy and delicious .... a win-win combination!